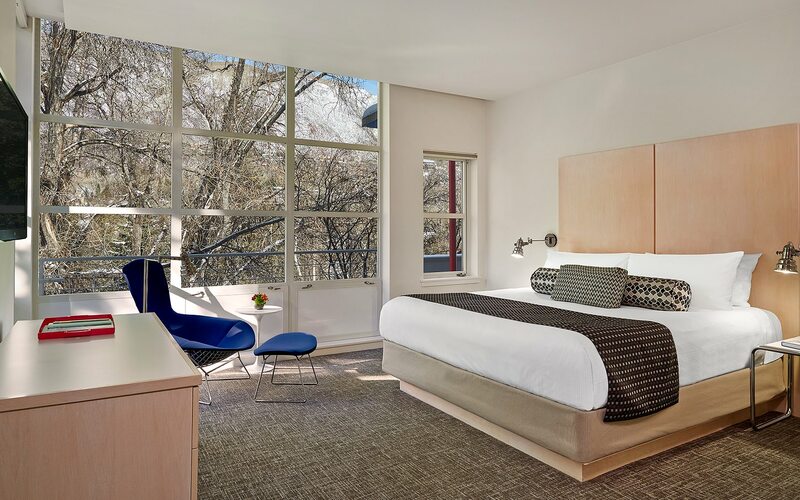 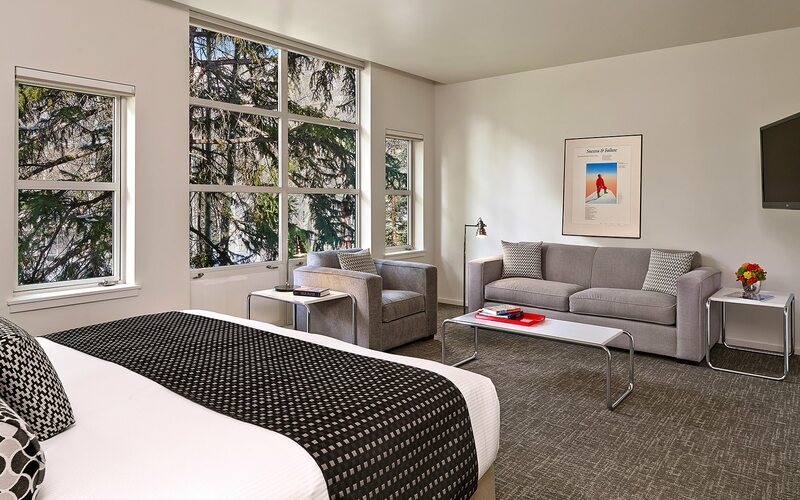 Inspired by classic Bauhaus design and décor, our 98 spacious guest suites feature floor-to-ceiling windows and contemporary furnishings. 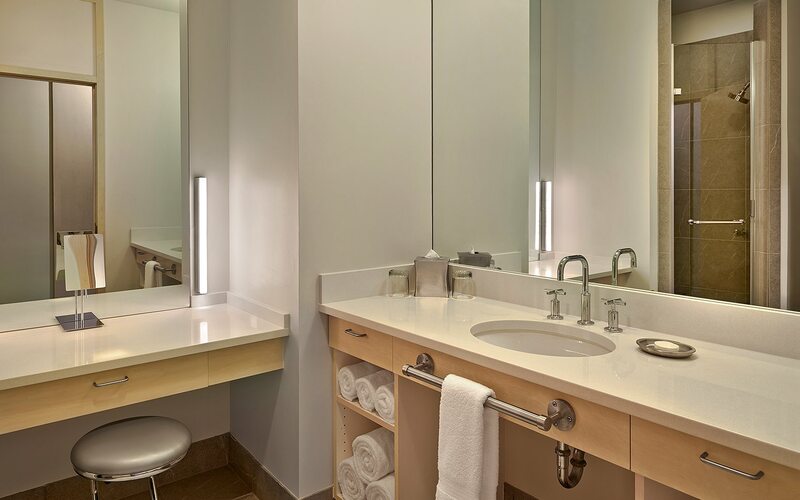 Every suite is designed with living, working, and sleeping areas to accommodate everyone from business travelers to families. 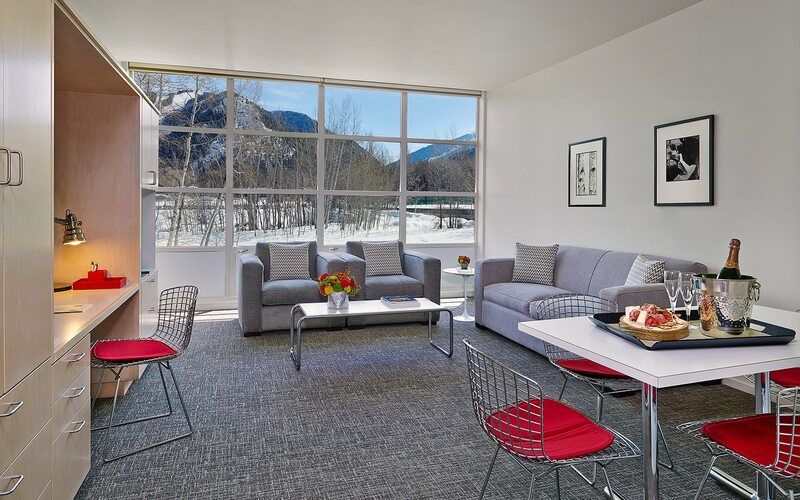 Enjoy 550 square feet of stylish accommodations in this scenic river suite, featuring a king bed or two queen-sized beds, a full bathroom, and a separate sitting area with a sleeper sofa. 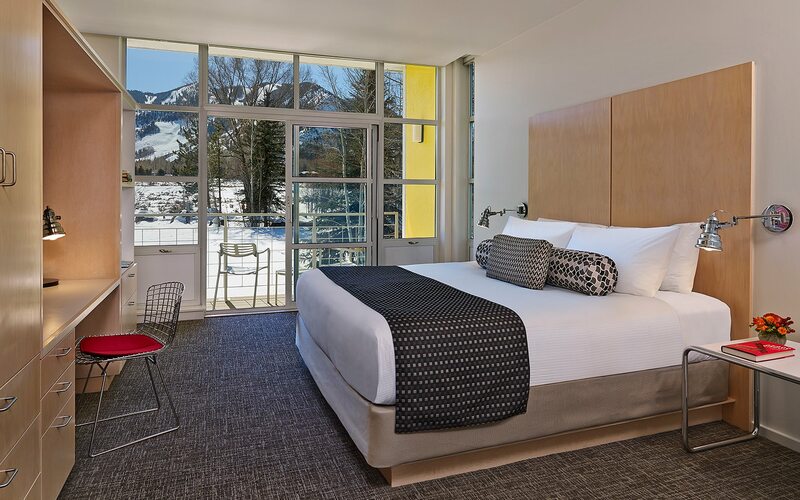 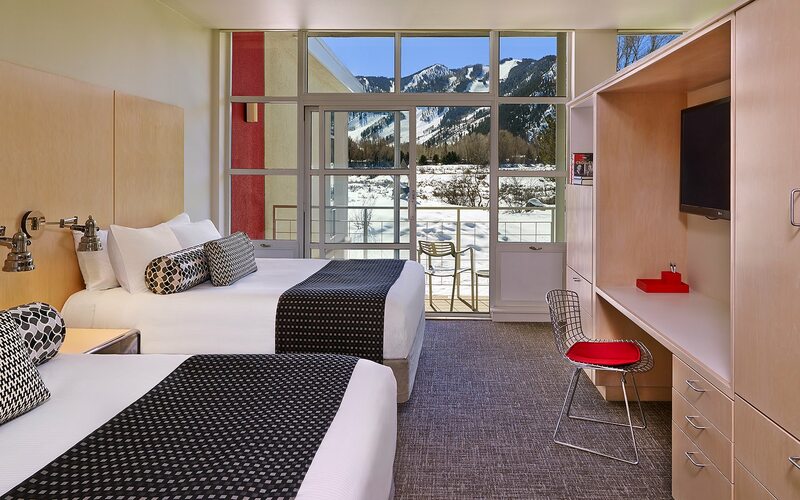 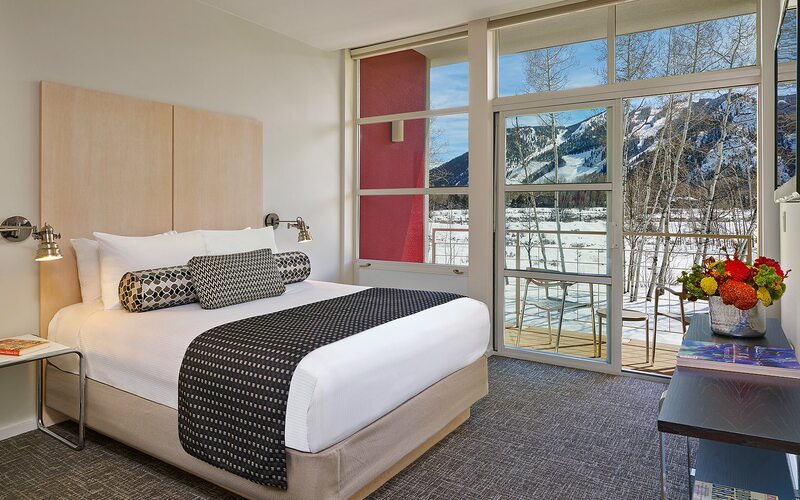 Our 550 square foot Mountain Junior Suites offer one king or two queen-sized beds, a full bathroom, and a small sitting area with a sleeper sofa for extra guests. 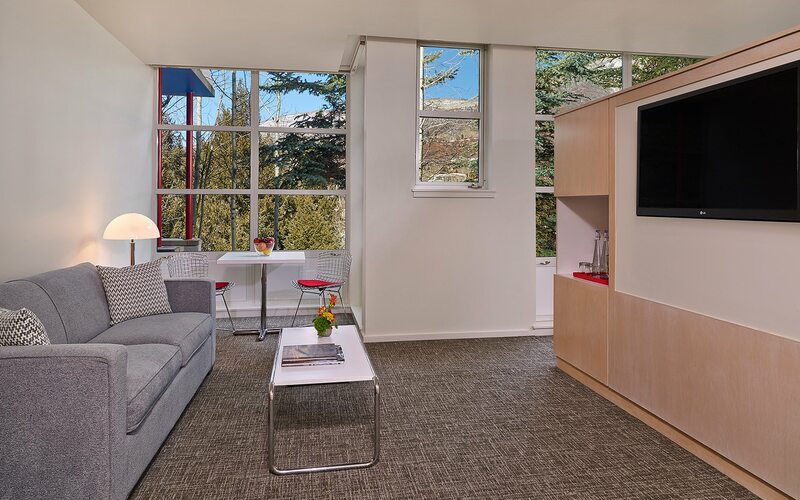 These deluxe suites provide 700 square feet of cozy space, featuring a separate living room with a workstation, sleeper sofa, and breakfast nook, and a bathroom with roll-in shower. 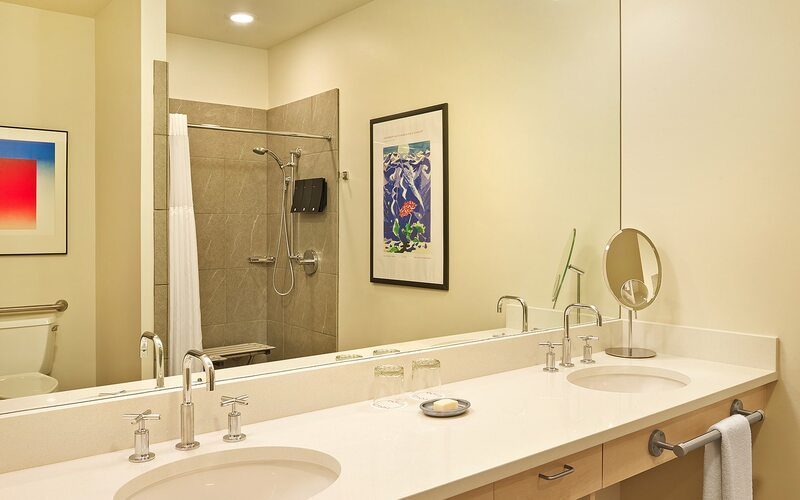 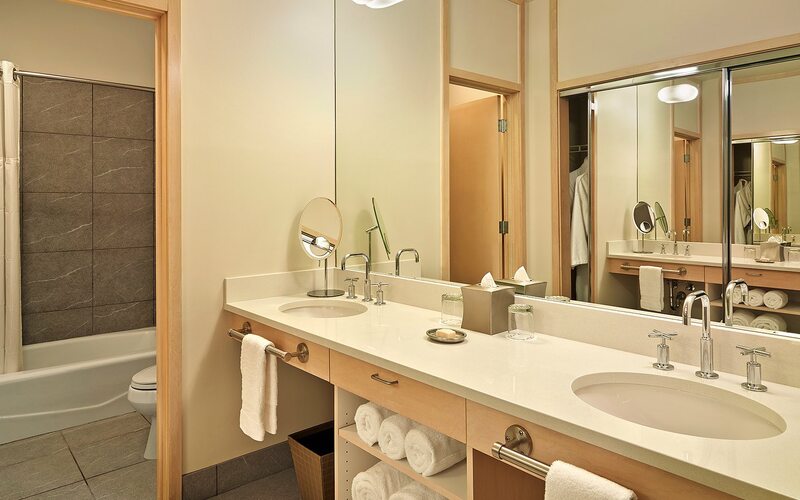 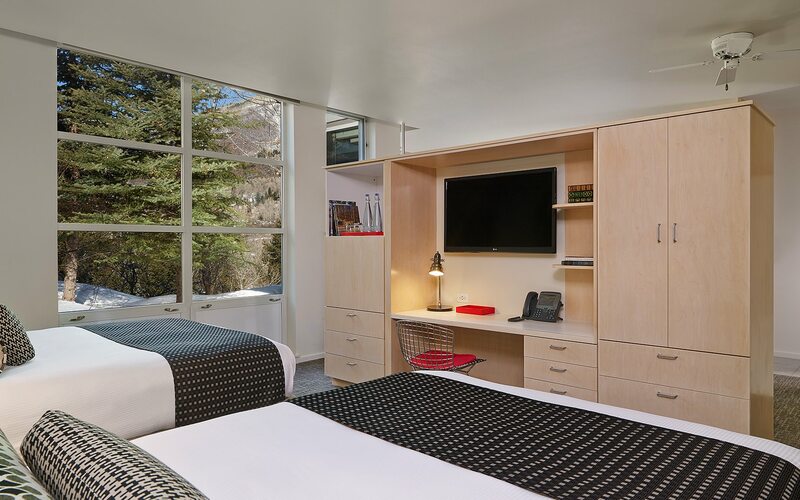 Highlights of our 700 square feet Deluxe One-Bedroom Mountain Suites include a separate living room, a spacious walk-in shower, a wet bar, and a balcony or patio with spectacular mountain views. 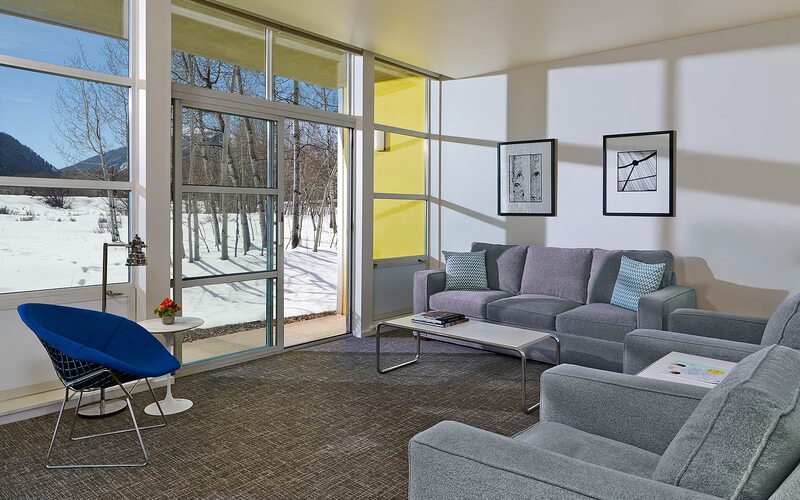 This spacious suite is 700 square feet with one king-sized bed, a living room with a sleeper sofa, floor-to-ceiling windows with river and courtyard vistas, and either a patio or balcony. 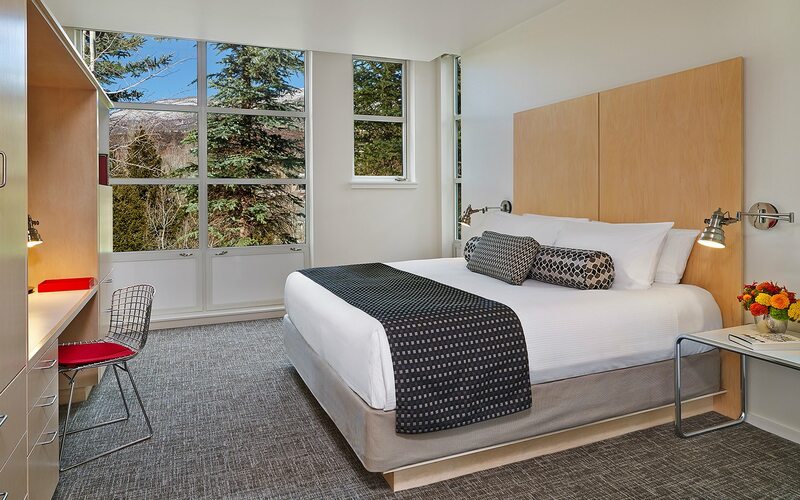 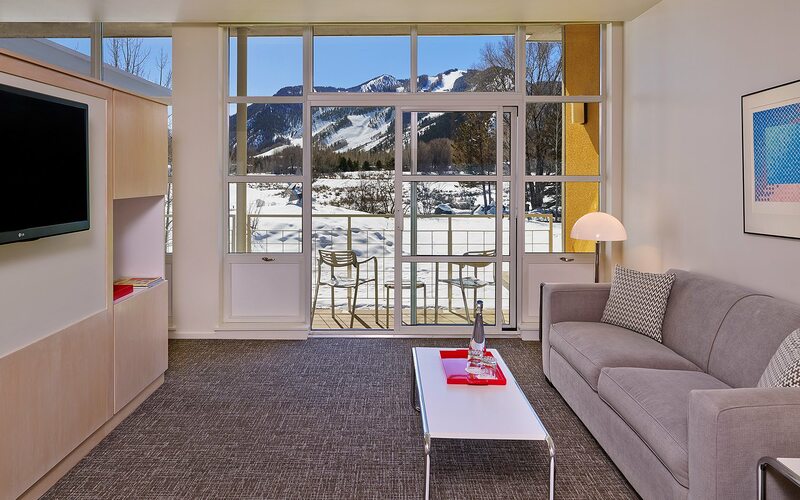 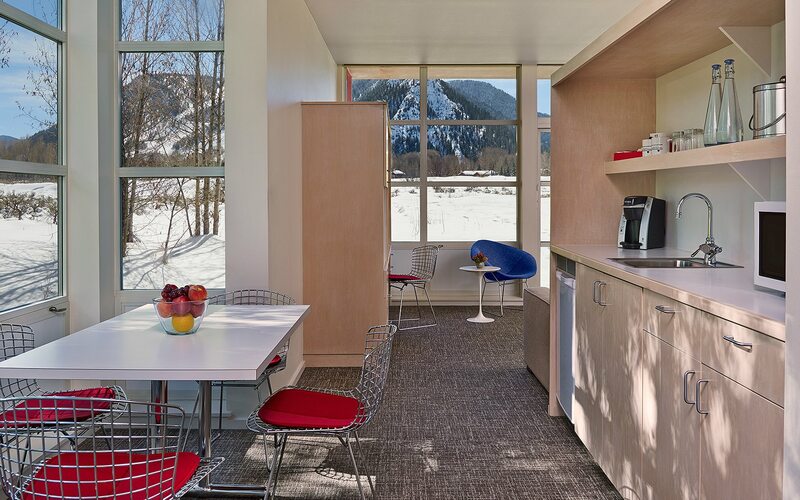 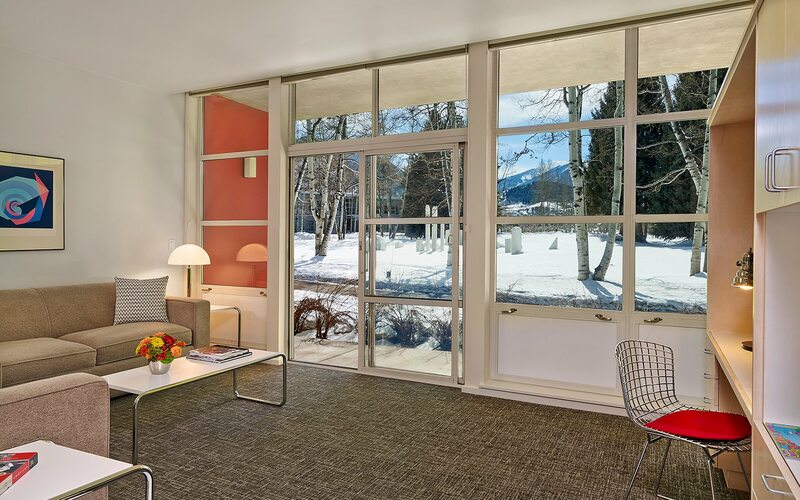 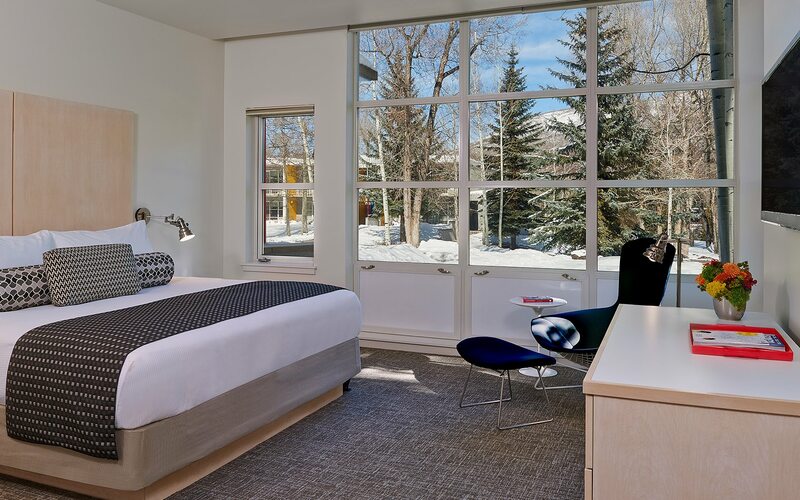 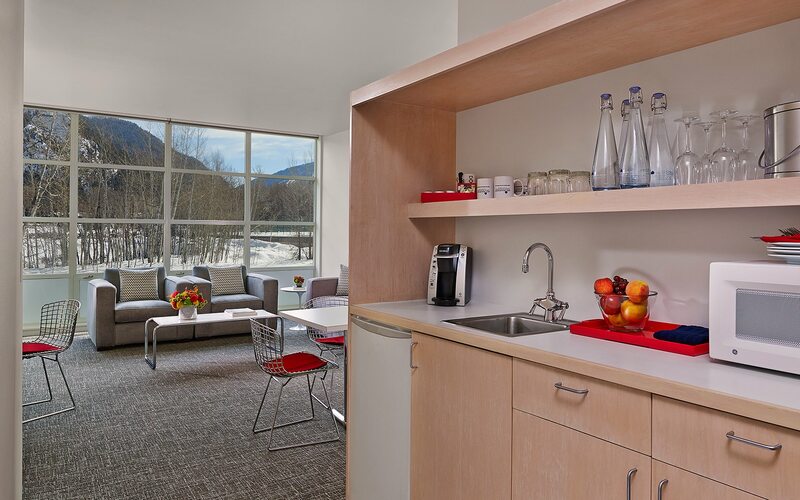 1200 square feet of idyllic Aspen accommodations, this Deluxe Two-Bedroom Suite features a living room with a workstation and sleeper sofa and a patio or balcony with mountain views.